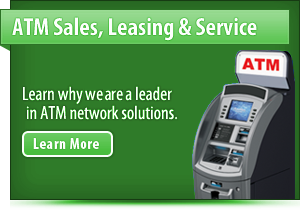 We stand front and center in their ranks, expertly handling ATM, credit and debit card processing for businesses of all sizes. 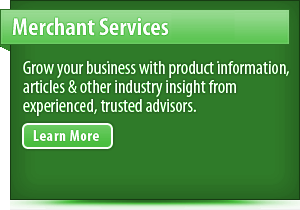 We have a well-earned reputation for accuracy, security and reliability in managing merchant accounts for thousands of retailers and other firms in all 50 states. We have been growing at a rapid clip and expects to serve many more customers over the next decade. 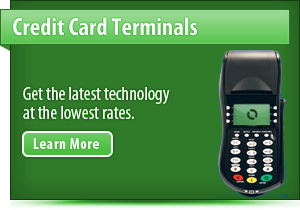 We are proud to offer intensely competitive rates for payment processing services, including highly affordable equipment leases for terminals that accept swiped credit cards and keyed-in transactions. We focus primarily on merchant accounts for processing traditional "card-present" transactions, as well as the "card-not-present" transactions that account for a significant percentage of customer purchases. Our cash-advance services are popular with qualified merchants in need of temporary cash-flow smoothing. We operate one of the most professional chargeback and fraud departments in the industry, ensuring around-the-clock protection for our customers against unqualified transactions. Our comprehensive services cover retail storefronts, home-based businesses, mail-order outfits and Internet concerns. 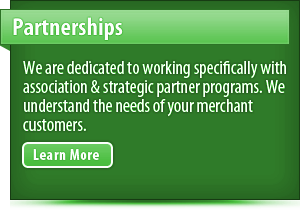 This broad competency is the result of a continuous, well-financed effort to master all aspects of payment processing. Few of our competitors have come close to this level of achievement. Respect is the bedrock of excellent customer relationships. Our company maintains an expert staff of support and sales personnel. Extensive training for each staff member guarantees the ability to listen carefully to customers who call with a wide range of concerns. The weeks of training focus especially on clarity and honesty in finding solutions quickly. The combination of competence and efficiency shown by our employees is unmatched in the industry. The legitimacy of our determination is without question. Our company has invested heavily in the staffing of dedicated departments intended to fully support merchant accounts and the associated equipment. Teams of personnel are assigned to do whatever it takes to keep our customers in business with uninterrupted cash flows. You can expect the absolute minimum of downtime whenever infrequent problems crop up. We want our customers to be happy with our services and to refer us to other potential customers. Word of mouth is always the most powerful endorsement. Our company is dedicated to providing superior financial products while keeping costs as low as possible. We understand the subtleties of the complex industry of processing credit cards, which means we can operate very efficiently. We understand that courteous and professional services form the foundation for sustained, long-term growth. Solid business practices ensure stability and reliability for all of our customers. We love this industry, and we are in it for the long haul. Our customers are our first priority. We are keenly aware that it is far more difficult to gain a new customer than it is to keep an old customer. We will work hard to earn your continuing loyalty. Your success is our success. We care about you, and we will never let you down.